Anybody have anything good to say about Nature’s Flavors? I’ve purchased butterscotch and caramel cream; buyers remorse on both counts! For me, anyway, they both were nasty. I’m just curious if they make a flavor that is touted as being a “got to have it” flavor? If you like ginger, theirs is pretty good - but strong! Well, there is not much in this forum as far as Natures Flavors, so I guess this is the place so stick some tasting notes. I just got Orange Cream, Watermelon, English Toffee, and Lemonade in the mail. Very excited to test them. I was wondering about starting percentages for this company? Are they super potent? Weak? Average? 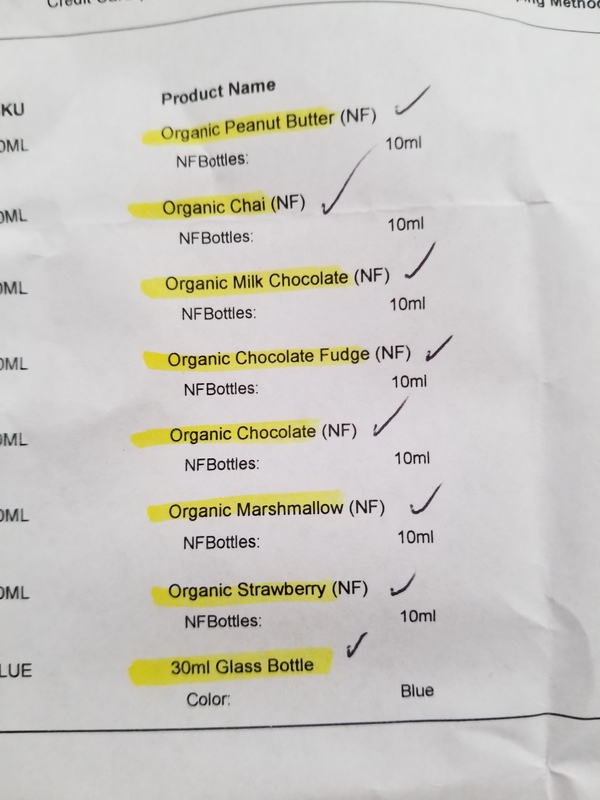 I just got my first 7 NF Organic flavors in the mail this evening! I’m a little surprised by the lack of info for this company on ELR. They seem pretty high in quality. I had trouble inputing these flavors using the drop-down menu in my flavor stash, too. Had to make some up. Here’s a pic of the order, if anyone has any tips. Got these from diy vapor supply. Can’t wait to test 'em out! Will be looking forward to reading your thoughts on them…Appreciate the info on where you got them as well! Also, noticed that you ordered some cobalt bottles from them. 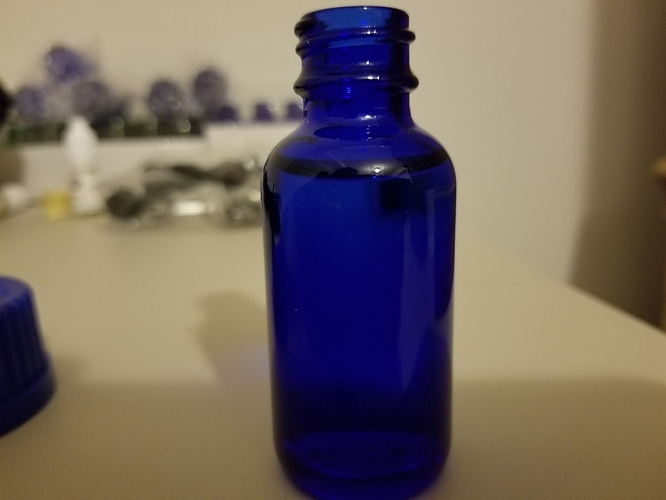 If you happen to have any actual 15ml or 30ml bottles to compare to (or if you use syringes to fill with), I’d be interested in knowing whether they are actually what they’re advertised as. 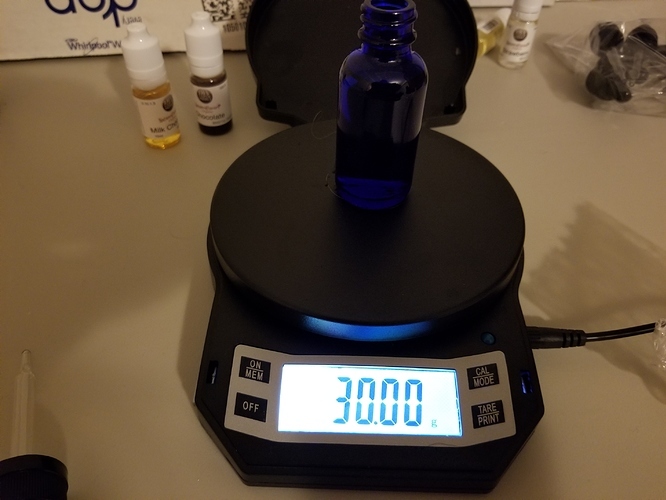 As a lot of the bottles I’ve ordered don’t hold the full 15 or 30ml. That is interesting! I’ll have do do it by weight. It should hold 30 grams of water. Thanks for the side view too. That would have been my next question (and something I neglected to mention in my previous post). The whole 30ml below the neck line is important to me, especially when it comes to long steeps. (shaking room, off-gassing, etc). Diyvs is a good company so far imo. I ordered from them and the shipping was 2 days maybe 3, comparable to bcv. And I had a question if TDA was really TFA, and they answered promptly that it was indeed Tfa but that they had to label it tda for some reason, can’t remember. Anyways, it’s a good spot. I too thought they seemed to good to be true and after I ordered I thought “oh maybe they use those no dropper having bottles like wizardlabs”, but no, they use regular plastic bottles with dropper tips. All good. I’m mixing this just for fun. I have no idea what the recommended mixing %s are. Very little info here, as @Pentine mentioned. I’ll fix the flavor names in my stash to something uniform and do some proper testing soon. My wife comes from a line if gypsies, it must be rubbing off on me! No worries, glad to see others giving Natures Flavors a try, they have good for me so far. You are right, they do seem very quality and I do not know why more people are not using them. Very interested to hear what you think, looks like you got some good chocolates. 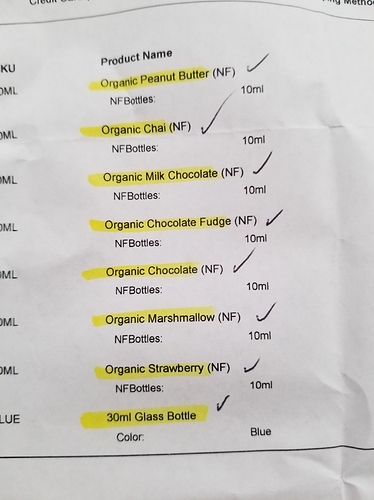 I did a 5% (25/75, 3mg) test on the Chai last night. It’s high quality, alright! Its vaguely reminiscent of a cola, but with a whole lot more complexity going on. It will be great with some milk or cream and maybe a hint of marshmallow with some steeping to get a chai latte. I’ll check back with more as it ages. I haven’t tried the chocolate peanut butter yet, as it smells like it needs some time to come together. Thanks so much for the kind words. Our customers satisfaction means the world to us. The Nature’s Flavors are organic concentrates. They are just like CAP and FW and the rest of our concentrates. THe main difference is since they are organic, they are in an water/ethly alcohol or an organic cane alcohol/water solution rather than a PG/Distilled Water/Ethyl Alcohol solution like most other brands. I hope this helps! organic extracts *** I’m sorry. I was thinking about concentrates and typed that. But they are extracts. I’m awaiting a reply to see if that correction gives a different starting %, otherwise, I guess treating them like CAP or FW is a good start. "One quick thing… would these extracts still have a similar mixing percentage as the standard CAP and FW concentrates? Thanks again!"